I learned something about baking powder this week. It may shock you, so hold on to your pork pie hat. I learned that most store bought baking powders have cornstarch and aluminum in them. Whoa Nelly! Cornstarch is a big no-no in low carb diet circles. And aluminum is, well, aluminum. I had never given baking powder any thought before. It was just this innocuous ingredient that was in most baked goods. I had no idea. Luckily, there is a work-around for serious low carb enthusiasts. You can make your own baking powder at home, using one part baking soda and two parts cream of tartar. Then you don’t have to worry about the cornstarch and aluminum. Plus, it cuts the carbohydrates in half. Granted, that is only a difference of 1g per teaspoon, but it adds up. There are Keto diets that only allow for 20g per day. 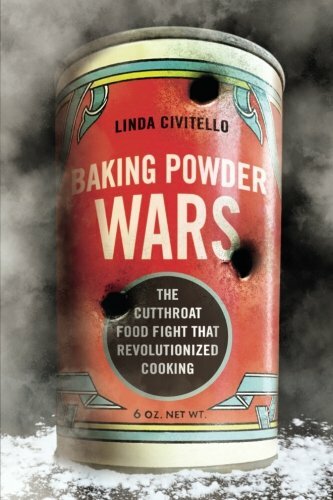 For a deep dive into the history of baking powder, I heartily recommend Baking Powder Wars, by food historian Linda Civitello. It’s fascinating.